Since its founding in 2001, ASAN has grown to have a reach of over 2000 farms, ranches, businesses, nonprofits, government agencies, and households. 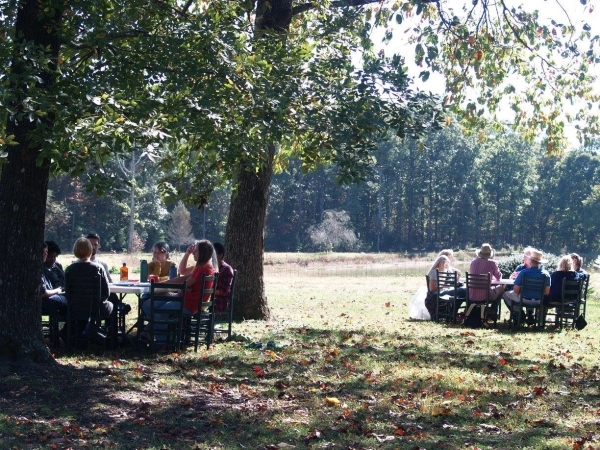 Every fall, in locations that rotate throughout the state, we host an annual series of Regional Food & Farm Forums, which combine peer-to-peer education, experiential learning, and community-building. This series of Forums is our “signature event” and plays a critical role in growing and strengthening our network. Through our popular quarterly newsletter, monthly emails, and through our website and social media pages, we provide our growing network of partners and members with opportunities to learn about what their neighbors are doing all around the state, and more broadly about the sustainable food movement and other movements it’s connected to. Additionally, ASAN provides conference scholarships for Alabama farmers to attend conferences like the Southern SAWG Conference, Tuskegee Farmers Conference, Alabama Fruit and Vegetable Growers Conference, Georgia Organics Conference, and others. We also host or partner on various workshops, field days, potluck dinners, social gatherings, and other events throughout the year.